I’m in the fortunate position of being involved with learning and teaching almost every day of my life. I work with Mind Tools, which exists to help people to learn. And, as an external lecturer, I teach leadership modules at a university in South Africa. One of our clients at the university is a large corporation with many branches in Africa. From “day one” I’ve been impressed with its commitment to learning. Its culture has been developed and maintained by a human resources director who prides himself on the fact that, under his tenure, the organization has never cut its training budget, no matter how tough economic times have become. He contends that the times when you can least afford training are the times when you need it most. The annual launch of the organization’s management and leadership program at the university is always attended by this HR director and his head of training, to support the employees and mentors they select for the course. The attending mentors are managers and leaders who have already completed the course, and who are now in senior positions. Every year without fail, in his welcoming speech, the HR director makes it clear that simply passing the course isn’t enough. He feels that you wouldn’t like to be flown by a pilot who got a 60 percent pass mark: what if he knows how to take off but he can’t touch down? He encourages everybody to work for distinctions and to learn as much as they can. At the end-of-year graduation ceremony, the CEO personally hands the students their diplomas. The other directors, heads of divisions, and student mentors are also present. All students are also allowed to invite a family member. It’s a joyous occasion where they all celebrate the importance of learning – and the students are the VIP guests. Whenever I make a point of asking one of the factory workers to tell me what the company’s values are, every one of them has been able to do so. People compete with one another to get on the university program. Only a handful are selected, based on their long-term performance and their eagerness to learn. And the whole organization benefits from this competition. Everybody knows that they stand a chance of selection. Two years ago, I had a lady in my class who started off as a janitor, but her drive to learn and advance won her a place on the course. She is now well-established on the leadership program, and well on her way to earning a degree. It’s a huge pleasure to lecture to class full of students who all want to be there. It makes for a wonderful learning atmosphere, and they also push and motivate one another. It almost goes without saying, but I have to add that the company performs extremely well in terms of its annual turnover, profits and market expansion. It’s Africa’s market leader in its industry, and it expects to grow even more over the next five years. In our Twitter poll this week, we asked what would make workplace learning more attractive to you. Almost 40 percent chose “ease of access,” while another 40 percent voted for “attractive material.” Click here to view all the options and the results. In what circumstances might it be difficult to create a learning culture? Who is responsible for creating a learning culture? 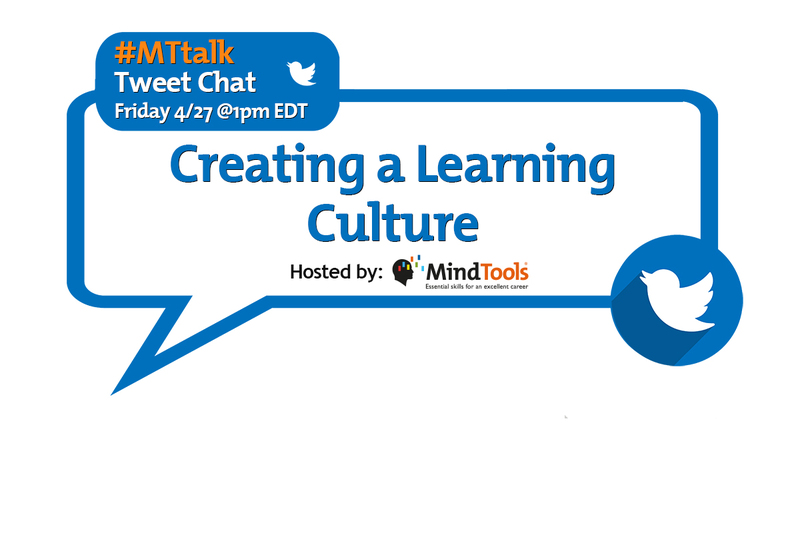 What role would you like to see C-level executives play in creating a learning culture? What are the benefits to the employees, and to the company, of creating this learning culture? What forms and sources of learning do you prefer? Why? In what ways can you embed learning into the daily flow of work? 10 Good Reasons to Keep Learning! How Can I Make Learning More Popular? i love to hear that other companies are continuing learning and development. So many times companies stop as soon as employees are “trained”. In our company we pick employees to train new associates and the employee can’t continue until we know that they are fully trained on all aspects of the job they are doing. I am grateful to work for a company that values their employees enough to continue their training. From a lecturer’s perspective it’s also great to work with companies where learning is encouraged, expected and respected. It means that “learning time” is also respected and when students are the university to complete a module/ block they are not expected to be available all the time. I really like the idea that your company picks employees to train new associates. Continued training is the lifeblood of a company – we can’t afford to stagnate in this day and age, can we?